Grove Road housing scheme was a groundbreaking development, opened in 1976 in Sutton-in-Ashfield, which enabled disabled people to live in society and not in an institution. 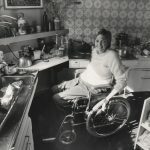 When I first became disabled in the mid-1960s, the only prospects for people who needed help with their personal care were to be looked after by their families, to marry their nurse, or to end up in residential care. 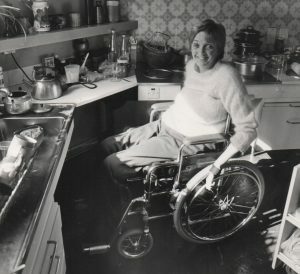 It was the brainchild of disabled activists Ken and Maggie Davis. It contains six flats, three of which are wheelchair accessible. 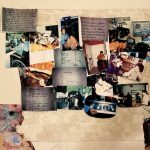 The creation of Grove Road marked the beginning of the Independent Living Movement. The History of Place project will be assessing the Grove Road archive, arranging a suitable long term repository and recording the oral history of Maggie Davis.